Porsche car owners recognize the prestige that comes with owning a car from one of the most popular luxury car brands all over the world. Here at Manhattan Motorcars, we are committed to giving that prestige to our customers in Little Italy and other neighborhoods in New York. We have a wide range of new and used Porsche car models in our showroom plus we can be of help if you are in need of repair and maintenance services for your Porsche vehicles. We also have stocked our inventory with Porsche auto parts so that you can easily upgrade or maintain your ride. 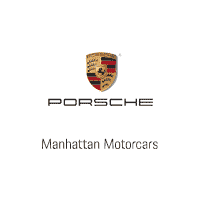 Visit us today at Manhattan Motorcars and find out more about what we can offer. A neighborhood located in New York City’s Lower Manhattan, Little Italy got its name after the community was once the home of Italian Americans. While there are only a few Italian restaurants and stores in the neighborhood today, traces of history are still there. Among the neighborhoods found near it are Tribeca which can be found on its west, Lower East Side and Bowery on its east, and Chinatown found on its south.